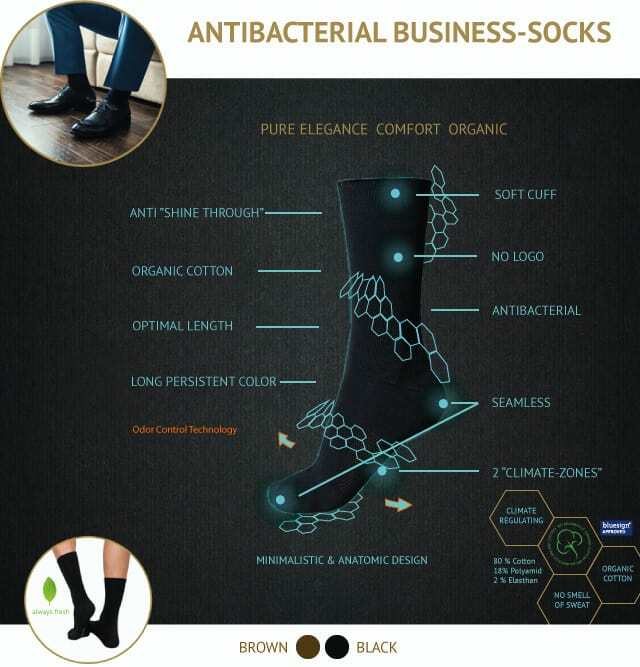 Elegant antibacterial socks in black and brown with integrated climate zones. Soft cuffs, seamless, the logo only knitted under the sole. Comfortable fit, easy care and long durability. The Innovation ´19 – Timeless elegance in top quality, many feautures and antibacterial. Whether in the office at a meeting, dinner or an event. With Schaufenberger socks you show timeless elegance – and always feel safe. Even after long, frightening days, the socks do not smell of sweat. Schaufenberger antibacterial underwear and socks rarely need to be washed. So you need less laundry and travel only with light luggage! Sport in between? Of course! …for dinner in the evening? A relaxed evening also includes feeling comfortable and safe. Schaufenberger antibacterial socks always stay fresh. You can relax and concentrate on the essentials. 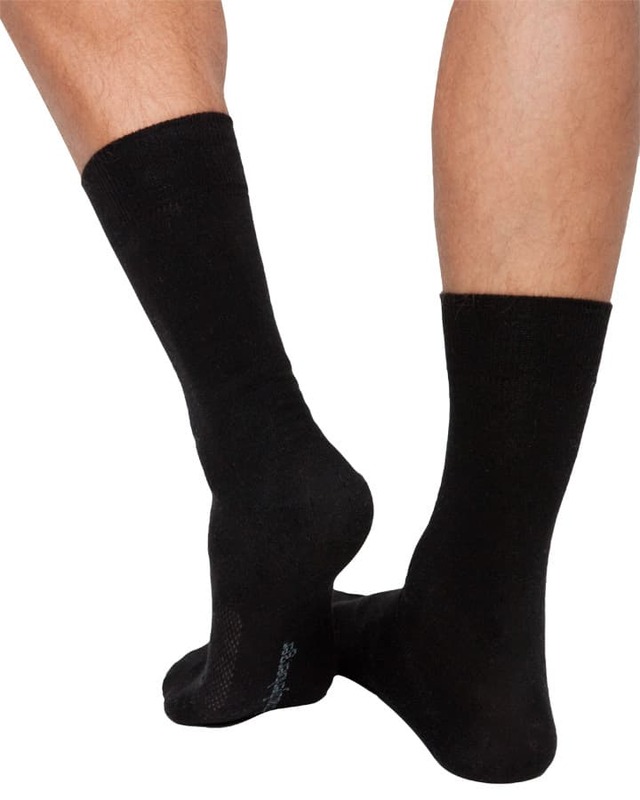 These men’s socks are very dimensionally stable and do not slide down the leg like many other men’s stockings. The wearing comfort of these men’s socks is also enhanced by a climate zone integrated at the side. This allows the foot to breathe much better in men’s stockings and gets more air. A great advantage for men’s socks in daily use. A lasting freshness is achieved through the use of Polygiene. The socks have a lasting freshness all day long. Polygiene significantly inhibits the growth of odour-forming bacteria. This odour-inhibiting effect lasts a lifetime and does not impair the sweat function or the natural flora of your skin. The socks can therefore be worn several times before washing. This saves you time and money. Your socks last longer. Since the socks treated with Polygiene require less washing, you will need less luggage on business trips, for example. At the same time you save water and energy – your socks are climate-friendly. The travel package with 3 couples is enough for several days! The zero-worry package. Buy several and never look for socks again. Simply select the desired package size at the top of the page and click on „Add to shopping cart“. These men’s socks are the ideal combination of men’s socks and men’s stockings. The length of the socks is chosen in such a way that a flash of hairy male legs is prevented. At the same time, these socks have exactly the right leg length for men and are therefore perceived as very comfortable. After all, men’s stockings should be a quiet yet stylish companion for any occasion and at any time. Do not underestimate the enormous effect of socks for men. Especially style-conscious men (and especially fashion-conscious women) pay a lot of attention to which men wear stockings of the opposite. 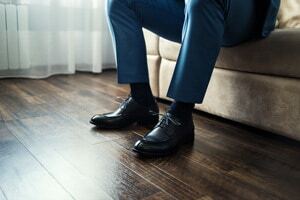 If socks are worn out and faded or if men’s socks have a visible inscription at the height of the socks – as is not only the case with brand name socks – this quickly leads to a devaluing evaluation of the clothing style. For this reason, the Schaufenberger brand socks were manufactured without any visible lettering. The branded socks logo is discreetly and stylishly located under the sole and is only visible on the socks if you are not wearing shoes. Stylish and timeless for the perfect look. Tradition meets innovation. Soft waistband against incision. Seamless production prevents friction in the toe area. Made from 80% organic cotton, 18% polyamide and 2% elastane. Production in EU. Never smells like sweat. Eliminates 99.9% of odor-producing bacteria. Always fresh! Extra breathable thanks to two integrated climate zones for permanent air circulation. The special material composition of the socks for men made of 80% cotton (Organic Cotton), 18% polyamide and 2% elastane leads – besides the excellent wearing comfort – to a long durability of these men’s stockings. Especially black socks are very popular as business socks for men’s suits. This is why these men’s socks in an extra strong and durable black tone are suitable for every occasion. The modern brown tone is ideal with a blue suit or a more casual chino style. 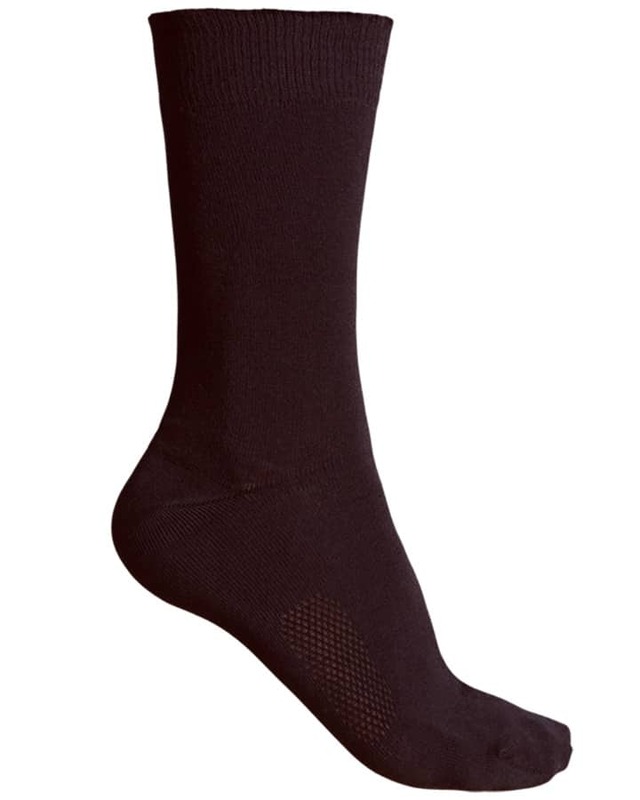 The cuff of these men’s socks is so pleasant that it prevents the socks from slipping, but does not constrict the leg. The elastic band incorporated into the men’s stockings is durable and does not lose its ideal hold even with daily use of the men’s stockings, as well as many washes. The front part of the socks is additionally made of light and thin yarn, so that the men’s socks do not cause any disturbing pressure points even in this area. The men’s socks from the current Schaufenberger underwear collection convince with their timeless, classic men’s sock design. The combination of exclusive sock properties – such as wearing comfort, long-lasting quality in terms of colour, shape and durability – meet the highest demands on men’s stockings. When selecting men’s socks, Schaufenberger deliberately avoids any type of pattern, such as men’s stockings with a tartan pattern or men’s socks with a striped pattern. For socks, men should rather use plain men’s socks. This is especially true for business socks, but also for any occasion in your free time. Extra tip: You can save a lot of time and money if you always use the same type of socks. For example, you can save sorting out and assigning the different sock brands and types. In addition, you get a long-term savings effect. Because you don’t always have to sort out two socks – the entire pair – even though only one sock has a hole or something similar. Simply continue to wear the men’s socks. If another sock breaks down later, you have regained your balance. Of course this is not only true for the business men’s stockings available here in the sock shop, but also for your sport or leisure socks. On your request, we can offer you larger quantities of our men’s socks – as well as a combination of socks and undershirts or underpants from the Schaufenberger collection. Simply send us a message via our online contact form in the online shop or send us an e-mail with the desired number and size of men’s socks. We will immediately send you a personal offer for your socks. 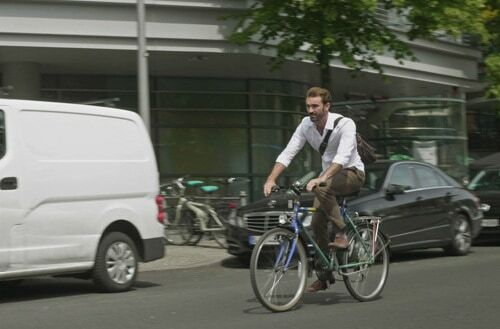 High-tech from Scandinavia – With Polygiene, Schaufenberger underwear never smells of sweat! Schaufenberger has carried out an antibacterial upgrade of the fabric with Polygiene. The treated fabrics never smell of sweat because they inhibit the development of 99.9% of odour-forming bacteria directly in the roots. This technology is integrated into the fabric and therefore durable. Polygiene was specially developed for textiles and has been tested for skin and environmental compatibility. 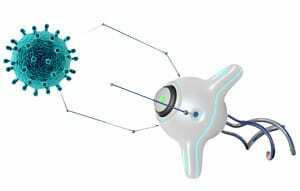 It is a skin-friendly nanofree solution! 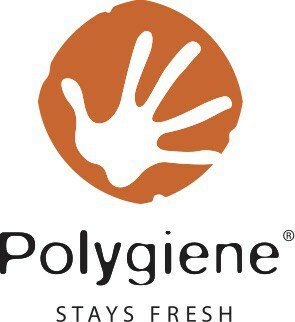 Stays Fresh Technology from Polygiene® ensures reliable freshness all day long. 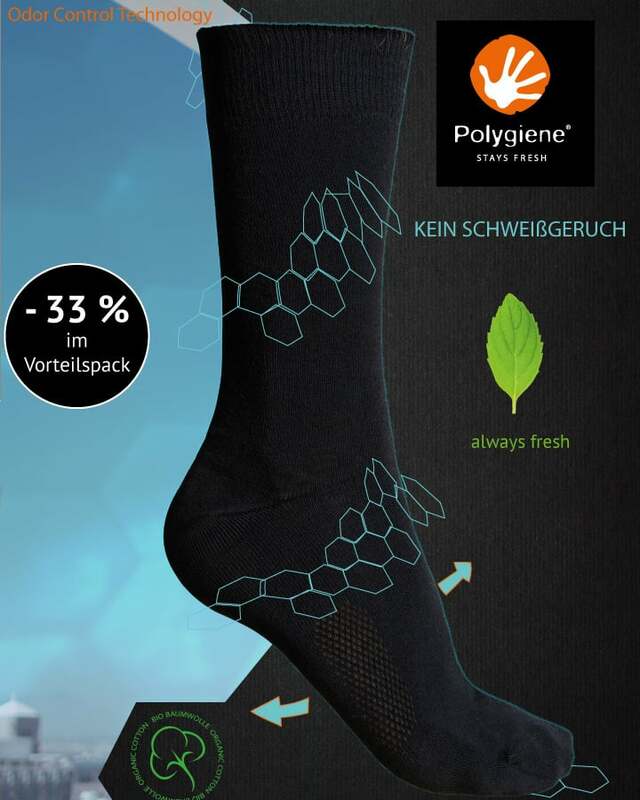 With Polygiene, Schaufenberger socks stay reliably fresh! So the socks can wear longer and wash less. Polygiene is based on recycled silver, is bluesign® certified and ensures lasting freshness – whether you are out and about, in the city or out in nature. Polygiene was originally used in healthcare and has undergone numerous skin tests. 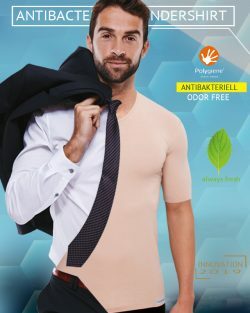 There is no impairment of the natural bacterial flora on the skin – Polygiene is only active on the fabric surface and does not affect the natural bacterial flora of the skin. This also applies to skin contact over a longer period of time. According to test results, there are also no discernible risks from skin or mouth contact with silver treatments. 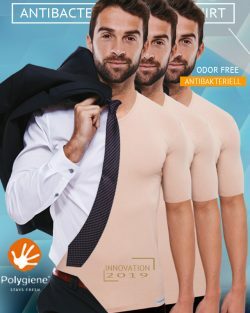 Polygiene is a nanofree solution! So no nanosilver. Climate-friendly: Clothes need to be washed less often and clothes treated with Polygiene last longer. 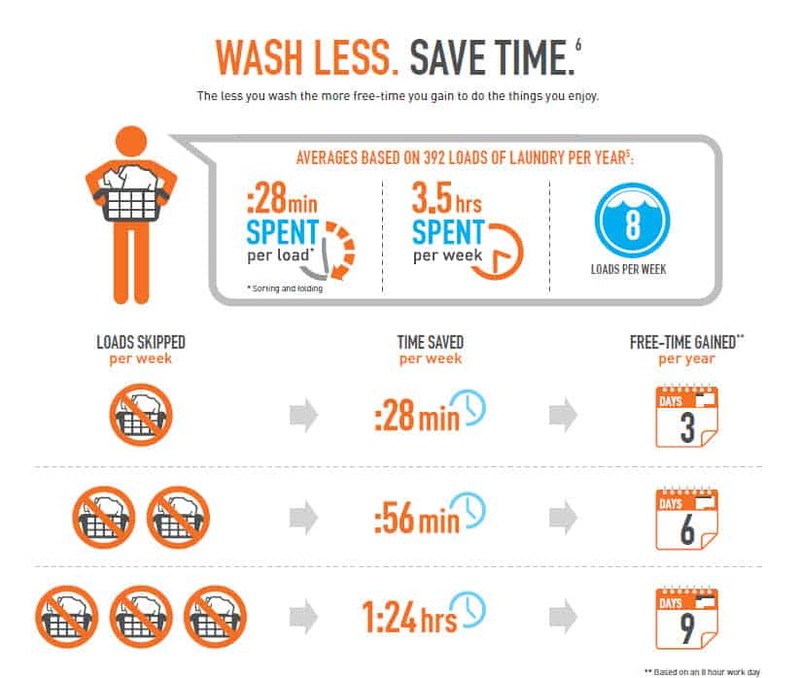 You also save time, water and energy for washing clothes – a big plus for the environment! The gentle programme is particularly suitable for the dryer. Please do not bleach or dry clean the antibacterial socks. Special feature: The freshness effect of Polygiene lasts for the entire life of the socks.